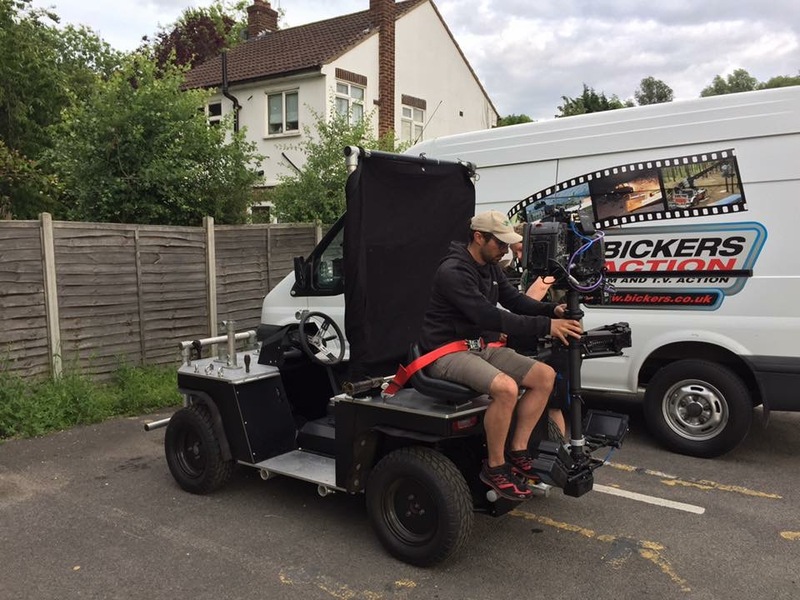 The “Twizzy” is our Compact Electric Powered tracking vehicle / Powered Dolly! Pollution Free! 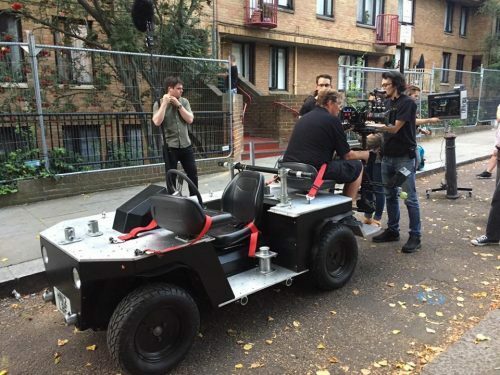 The engine is completely silent, making it the perfect vehicle for recording sound from; and also ideal for filming in indoor spaces as it produces no gasses. It is capable of tracking at low speed and up to 60 Kmh. 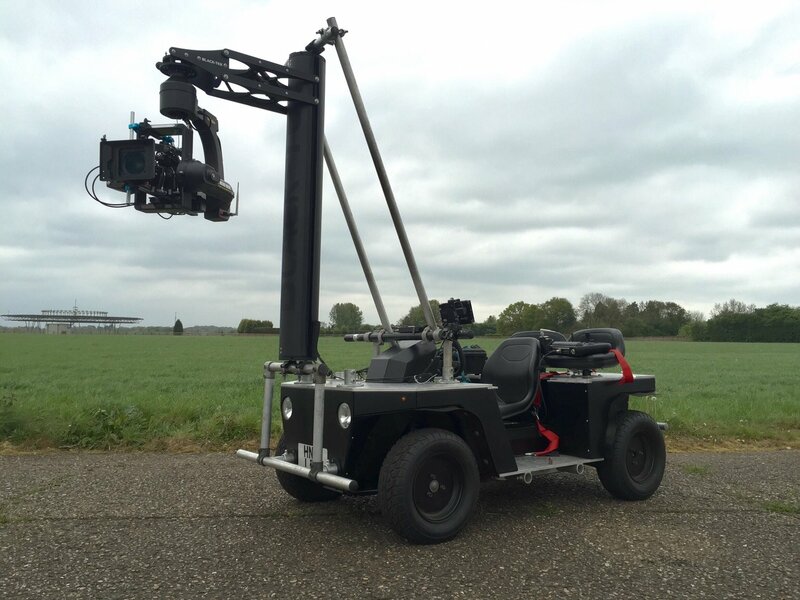 The Independent Suspension can carry 3 crew members plus precision driver and a good payload for equipment / small Jib Arms. Its low line of sight makes it unobtrusive and can be easily hidden in flowing traffic for example. Driven from a central driving position. 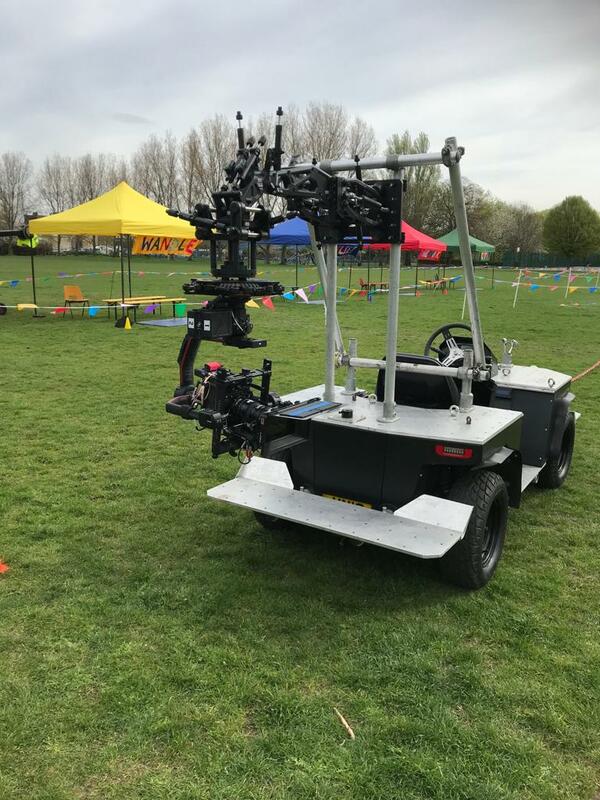 The vehicle has scaffold safety rails that double as rigging points for camera and lighting, together with a Multi drilled and threaded rigging platform plates front and rear. Designed and built in House at Bickers using the latest Battery Technology. Additional mounts can be made for specific requirements. It is road registered for Public Highway use.